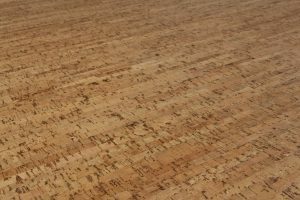 Cork wood flooring has become a popular choice in flooring for many reasons but the main one is cork flooring is non-toxic and environmentally friendly. A bonus is that cork wood flooring also offers a warmth that other hardwoods do not have. If you desire comfort and sustainability our floor experts can assist you and tell you about all of the wonderful benefits of using cork flooring in your home or next flooring project. Cork wood flooring comes in a variety of great colors, and patterns. We’d love to show you all of the great available styles. Cork wood flooring is typically made from sustainably harvested, recycled or reclaimed source materials making it the perfect fit for your green home. Find out more about some of the great cork wood flooring brands that we carry such as Solida Cork and Natural CORK. Highlands Decorating Center offers a complete showroom of selections to choose from for your home project. We work in the areas of Western North Carolina such as Highlands, Cashiers, and Lake Toxaway. We also service the areas of North Georgia nearby to Clayton, Lake Rabun and Lake Burton. We’d love to assist you with any cork wood flooring home decorating needs and products. Solida Cork offers a vast range of designs in site finish cork tile that can be stained any of over 100 colours or any custom colour cork of your choice. Solida Cork also has a large array of prefinished cork flooring products in a variety of colours and designs. Many of the prefinished cork wood flooring products are finished with a Fusion P.E.T. finish which carries a 15 year residential/5 year commercial wear warranty. Cork flooring by Solida is a 100% renewable product. The bark is harvested from the cork tree at intervals and the cork tree is never harmed. The cork trees are hundreds of years old and still producing beautiful cork flooring. Please stop by Highlands Decorating Center in Highlands NC to see the entire line of Solida Cork flooring. Cork wood flooring is a truly sustainable “green-building” material. Cork trees are grown and the cork bark is harvested in the centuries old tradition without harming either the cork trees or their habitat. Cork bark is initially sent to a factory to create cork stoppers for wine bottles. Cork wood flooring is then created from post-industrial by-product of the bottle-stopper industry. This ‘waste’ material is ground up and then formed into sheets using minimal amounts of adhesive to bind the particles together under high pressure. Natural CORK is environmentally correct as well as improving health and comfort for human indoor living. In our homes, cork floors create a warm, comfortable, resilient flooring surface that is gentle underfoot, is anti-microbial, will not spread flame, and is inherently resistant to molds, mildews, and common pests. From harvest to production to installation, Natural Cork wood flooring is environmentally sustainable, non-toxic, and healthy. Please stop by HDC today to view the entire Natural CORK line of cork flooring or visit our website at www.naturalcork.com.